This type of fire suppressant we provide with BIS approval and at reasonable prices. 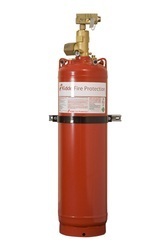 The Fire Extinguishers FM 200 Type quickly extinguishes fires through a combination of chemical and physical mechanisms It offers better performance due to its high pressure technology. Inbuilt space for battery and charger. Zone wise hooter/ Comm. Hooter. 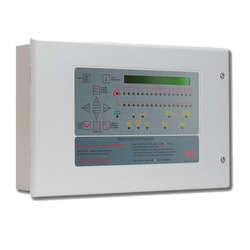 Dimension : 10" x 8" x 4"
HYBRID is a complete RISC micro controlled based fire alarm panel with one zone each for fire detection, temperature sensing & door security. Each Zone state is indicated By LED Display. Fir Zone indicate FIRE, SHORT & OPEn Conditions. An R.T.D. Based temperature zone senses ambient temperature rise. 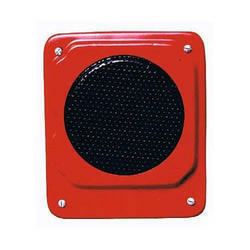 Indication are provided through a sounder, Buzzer and blinking LED. A Magnatic switch based door security system provides an exit delay for door opening and after which an alarm sounds. 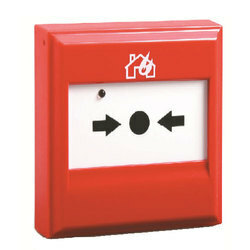 A DAY/NIGHT mode switch is provided for controlling the frequency of door being closed and opened. 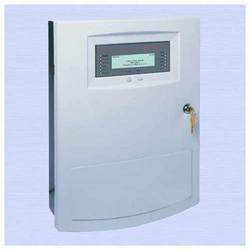 It has only few switches and very simple operation.It provide necessary relay contacts for attaching to various other gadets such autodial, AHU etc. Customized Talk Back Master station. Used for two way communication. Simplex type talk back with connectivity. 5 to 50 zone expandable. Simple operation (Press to talk facilities). Talk back panel as per IS standards. Best used in multistoried building. Size : 1½ inch(63 mm), 2 inch(50 mm), 2½inch(37 mm). Outlet : Jet and Spray. 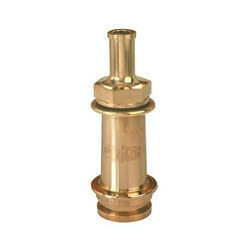 Type of Connection (Inlet) : Instantaneous, Nunan, Screwed End (Male). 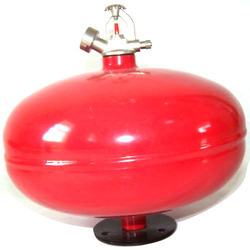 Hydrostatic Pressure for Body : 21kgf / cm2. 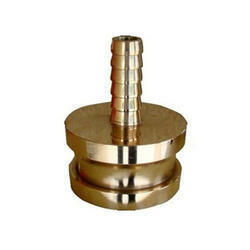 Finish Body : Buff polished / Chrome Plated. Fire alarm in New attractive look. Suitable for Malls, Restaurants, Banks etc. 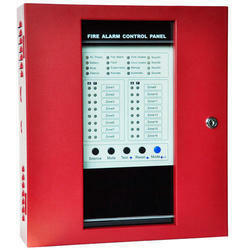 2 to 8 zone microprocessor based fire alarm panel. Inbuilt battery box & battery charger facility. 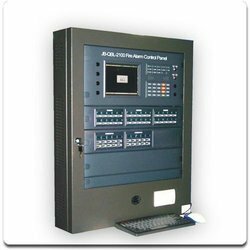 Repeater and mimic panel connectivity facility. Easily installation, easily operation, easily maintenance. 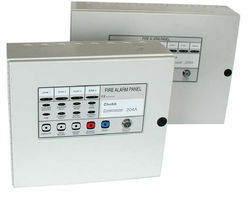 2 Zone microprocessor baed fire alarm panel. High speed & high accuracy. Small in size & light in weight. Led Indications fire, open, and short for each zones. Extra potential free contact for fire and fault conditions. Battery charger and battery box facility. Mains, AC Fail, rev. battery, fuse blown, fault isolate indication. Compatible with any smoke and heat sensor.